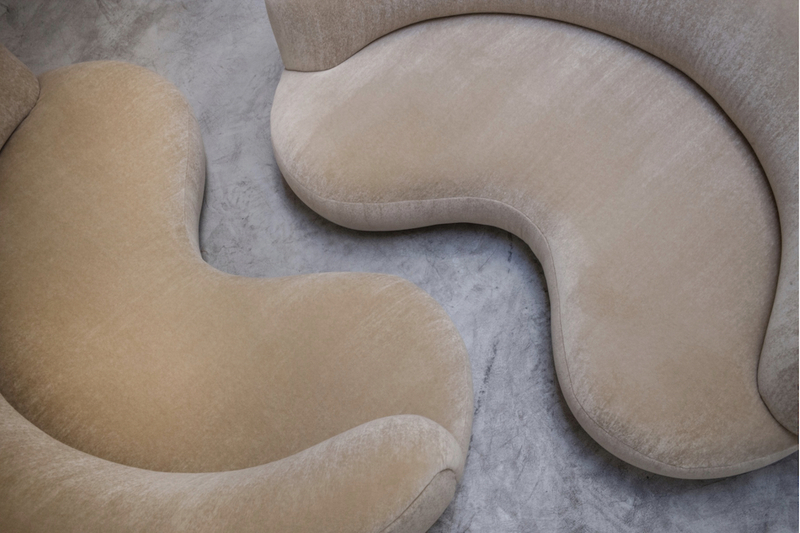 Beautiful curves upholstered in Pierre Frey Teddy Mohair Velvet (Creme 2, to be precise). 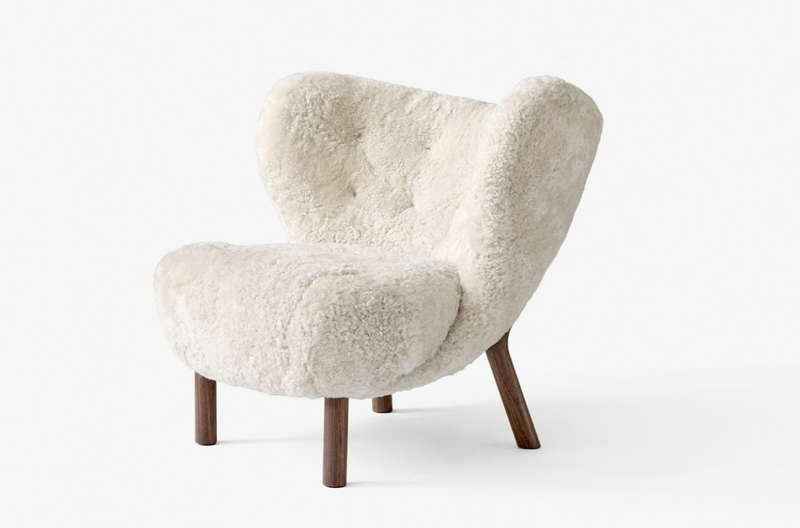 One of these would sit very well with Little Petra by Viggo Boesen for &Tradition, don’t you think? Hmm, velvet and sheepskin. I must find something to cover. 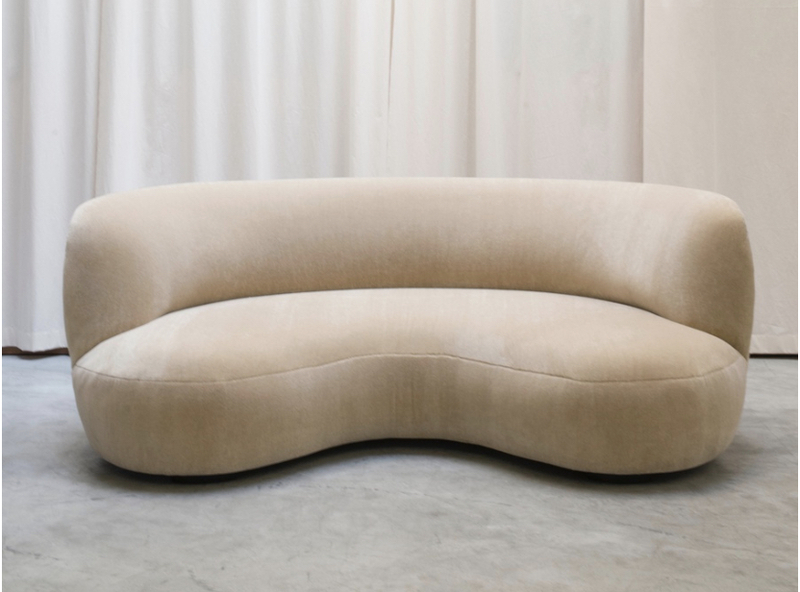 The Pierre Augustin Rose Sofa 190, as seen in Milk Decoration magazine volume 26. I’m in love!